Prime Minister Netanyahu vows retaliation, cuts trip to U.S. short after 7 are hurt by a rocket fired from the Gaza Strip. "There has been a criminal attack on the State of Israel and we will respond forcefully," he said. "In a few hours, I will meet with President Trump. I will return to Israel immediately afterward." 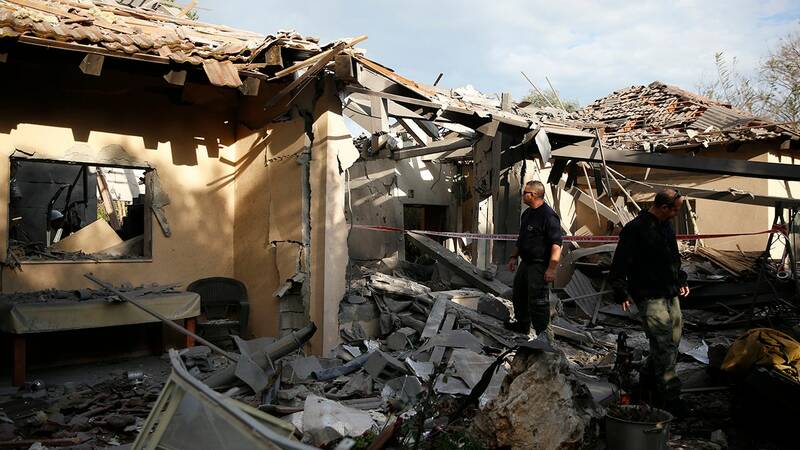 The Israeli military said militants from Gaza's ruling Hamas movement fired the rocket from one of their launching pads in southern Gaza Strip, near Rafah.